Hello my inky friends! 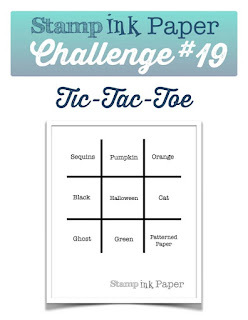 Today at Stamp, Ink, Paper we have a Halloween Tic-Tac-Toe board, by me! I hope you enjoy it and play along, too. Though I could have gone a few different directions, I'll say I went across the middle: Black, Halloween and Cat. Of course I had to chose the kitty! So here you have my creation, a little out of the norm for me. I usually gravitate to plenty of white space, but in this case I wanted a lot of rich, deep color. I must say I had great fun making this card and coloring all the images. All the stamps and dies are from Lawn Fawn. So many challenges, so little time! I was inspired to use the sketch at Sunday Stamps. 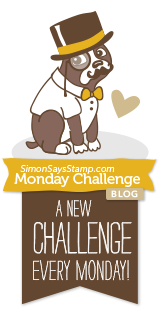 The Simon Says Stamp Monday Challenge is Monster Mash. 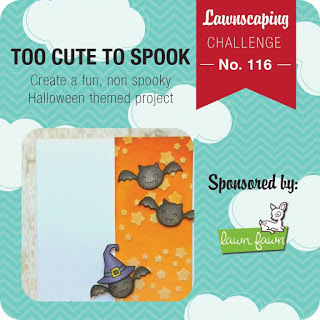 The Lawnscaping Challenge this week is Too Cute to Spook. 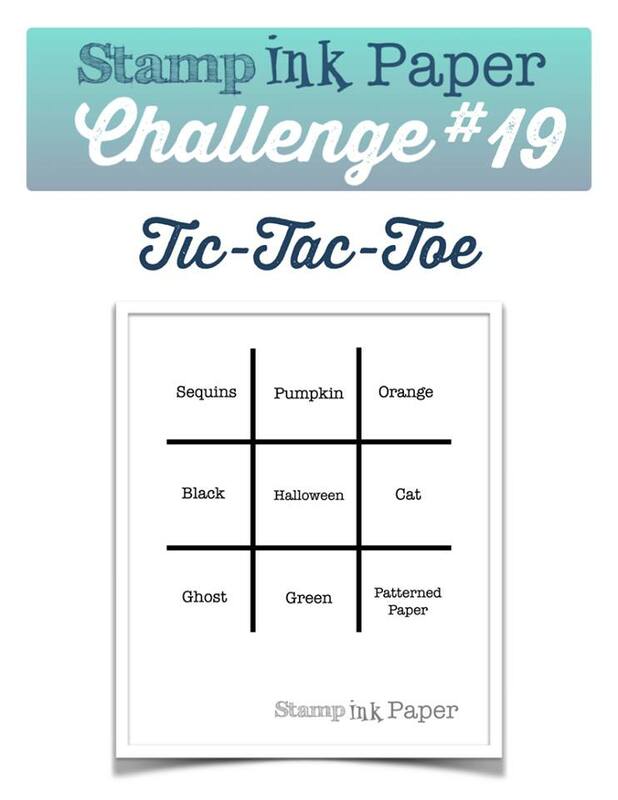 Finally is the 30 Day Coloring Challenge at The Daily Marker. Before I sign off, I had to share a picture of Ollie in his Halloween costume. He's a dinosaur this year, though not too pleased about it! Sorry it's a little fuzzy. Hard to get the little guy to hold still. I'll try to get a better picture for you soon. Thanks for stopping by and please visit the rest of the Design Team at Stamp, Ink, Paper! I love your little spooky scene....but Ollie in his dino costume...now THAT's precious! Although you're right....he's looking a wee bit grumpy! Such an adorable Hallowen card! Great colors and great coloring! (and your kitty is cute too!). Thanks for playing along at Sunday Stamps! I LOVE this!!! What a fun scene!!!! ps - your little critter friend is adorable too!! ha ha!!! wonderful scene, quite lovely! Thanks for joining us at Fusion! 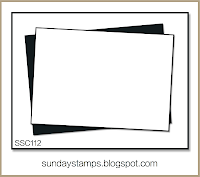 I meant thanks for joining us at Sunday Stamps! So, so, so cute, Sandy! I love everything about this card. 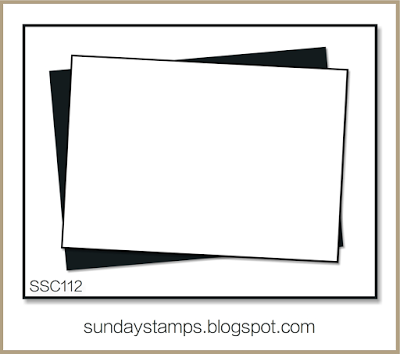 Thanks so much for joining us at Sunday Stamps this week...hope to see you again soon!